Five-time GRAMMY® winning and best-selling recording artist Celine Dion will perform an all-new original song, "How Does A Moment Last Forever," for Disney's live-action "Beauty and the Beast." The song will also be included on the film's soundtrack. Written by eight-time Oscar®-winning composer Alan Menken ("The Little Mermaid," "Aladdin") and veteran lyricist and three-time Oscar winner Tim Rice ("The Lion King," "Evita"), "How Does A Moment Last Forever" is an emotional ballad about holding onto life's precious moments. Portions of the song are performed throughout the film and interpolated into the underscore before Dion's full-length version debuts in the film's custom main-on-end title design. Dion said, "Being a part of the original 'Beauty and the Beast' was such a magical experience in my life, and I'm truly honored to be a part of this film again." President of Music for Walt Disney Studios Motion Pictures Production, Mitchell Leib, approached the artist on behalf of the project with the idea of recording one of the three new songs written for the film. "Celine was the unanimous choice of the filmmakers and studio to perform this song," Leib said. "And everyone involved with the film is thrilled she agreed to be part of this new live-action adaptation." 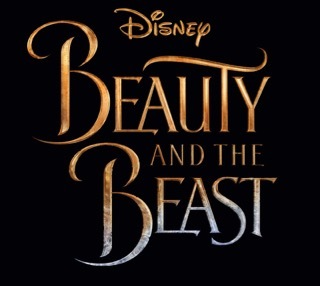 Dion originally performed the duet "Beauty and the Beast" – featuring Menken's haunting melody and two-time Oscar-winner Howard Ashman's unforgettable lyrics – with Peabo Bryson for the animated film. The song became an instant classic and went on to receive an Academy Award®, Golden Globe® and three GRAMMY Awards. Menken also provides the film score along with new recordings of the classic songs from the animated film written by himself and Ashman. The original motion picture soundtrack will be released by Walt Disney Recordson March 10. The pre-order is available now at disneymusic.co/BeautySndtrkP.